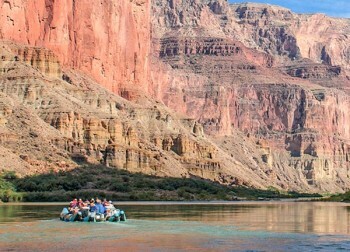 This is the second Grand Canyon rafting trip I have taken with Western River Expeditions. In many ways, especially service, it was the same. Great guides, great food, great group. We made different stops on this trip, heard new river stories, saw different wildlife. The Colorado River was different too. What hasn't changed is the fun. We had a truly wonderful whitewater experience, camping in the Grand Canyon was breathtaking and we made new friends. For a once (or twice) in a lifetime experience, I would recommend this trip to everyone. Once again, this was an awesome experience! Western River Expeditions always delivers!